The Library is a collection site for used mobility equipment. Accepted items include walkers, canes, walking boots and crutches. 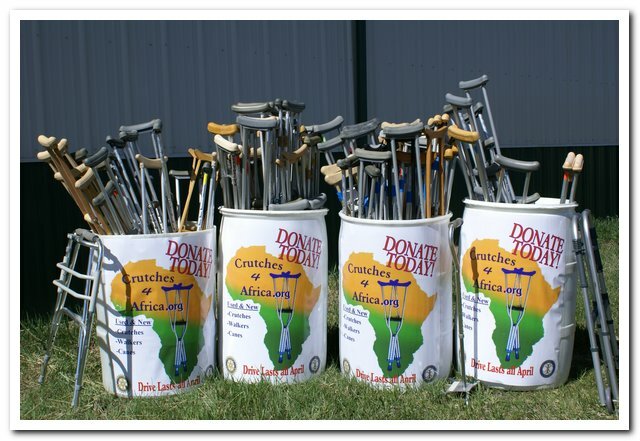 Items will be used by Crutches 4 Africa to enable the disabled in developing nations. The collection barrel is accessible on the main floor of the Library during regular Library hours. The collection barrel will be out until May 15. ← Make February a sweet month for the Library!